Have you ever dreamed of getting a chance to see the rings of Saturn and the Asteroid Belt? This screensaver is an outstanding 3D model of the solar system. Every planet is there along with its satellites and even a small info graph with basic facts. All the proportions and trajectories are right. It's not only the sheer beauty but also the educational content that make Solar System 3D Screensaver an absolute must-have. This screensaver is an outstanding 3D model of the solar system! ...... You get to float through some of the best known constellations like the Big Dipper and get a great view of the Milky Way. It's not only the sheer beauty but also the educational content that make Solar System 3D Screensaver an absolute must-have. * All the planets of the solar system including their well-known satellites. * Hear the call of the universe! This screensaver views all planets of our solar system on your desktop. 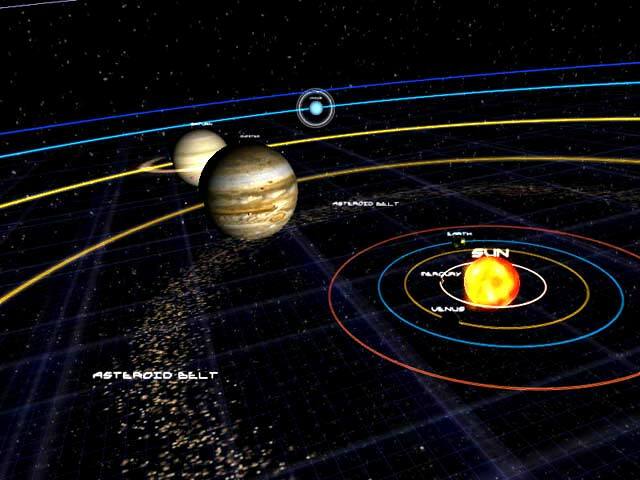 Solar System is a fully 3D environment space screensaver with many features. Solar Traveler is a fully 3D environment space screensaver with many features. Conveys the whole atmosphere of the seaside with the murmur of the ocean. Experience the serene atmosphere of a quiet winter night. 3D Matrix Screensaver with full 3D environment and 16 Matrix Worlds. This terrific 3D screensaver will help you feel the magic of the Holiday Season. If you ever wanted a piece of art for your computer, this screensaver is it. A new Autumn Time 3D screensaver. Run any OS command or application instead of the Windows screen-saver. Is extremely realistic F1 Racing 3D Screensaver. New original bright colorful 3D Screensaver. Qweas is providing links to Solar System 3D Screensaver 1.7 as a courtesy, and makes no representations regarding Solar System 3D Screensaver or any other applications or any information related thereto. Any questions, complaints or claims regarding this application Solar System 3D Screensaver 1.7 must be directed to the appropriate software vendor. You may click the publisher link of Solar System 3D Screensaver on the top of this page to get more details about the vendor.